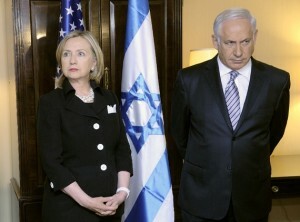 Hillary Clinton and Israeli Prime Minister Benjamin Netanyahu. Clinton is accused of leaking secret Israeli war plans to news reporters. The Democrat’s presidential heir apparent Hillary Clinton participated in a Townhall event on Monday for Univision’s afilliated network Fusion where she answered questions about white privilege and terrorism. Hillary Clinton said “white terrorism” and “police violence” are just as big a threat today to blacks and Latinos as are the Islamist terrorist groups such as the Islamic State of Iraq and Syria (ISIS). 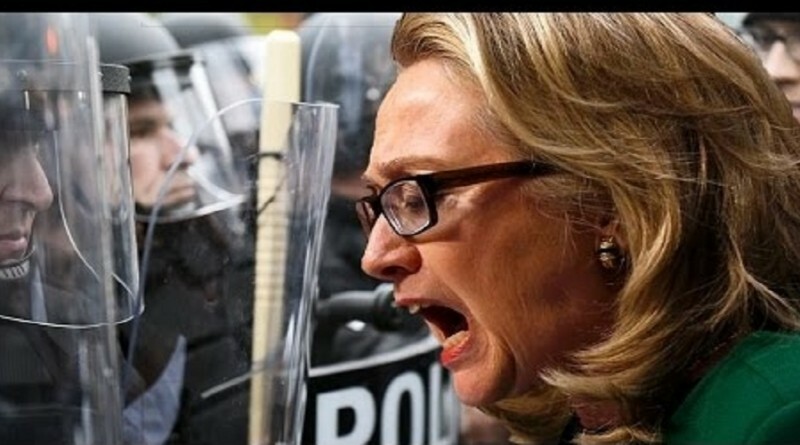 Besides likening police officers to ISIS terrorists, Hillary Clinton called for all police departments in the country to have officers wear body cameras to “increase transparency and accountability.” “She should have choked on the word transparency. Hillary Clinton should wear a camera 24-hours-per-day, seven-days-per-week, just for starters,” said former police officer and security director Iris Aquino, a Latina law enforcement veteran. Ironically, reports have surfaced that allege Clinton and her boss Barack Hussein Obama are credited with the creation of ISIS and that they trained and armed that Islamist army in the hope that they would hep push Syria’s President Bashar al-Assad out of power.